Most children go through a phase of picky eating at some point in their lives, and it can be a deeply frustrating experience for parents who may become concerned that their child’s diet is lacking in the right balance of nutrients. In reality, except in the most extreme cases, children are likely to get a sufficient variety of nutrients over the course of a typical week to ensure good health. If, however, you are becoming tired of fighting battles every mealtime, the following tips can help broaden the range of foodstuffs your child is happy to eat. Understand that if you are giving a child a particular food for the first time, they may not take to it right away. Consider serving new items alongside familiar favorites and prepare only a small amount at first. You might also want to slow down the initial exposure to a food. Rather than expecting a child to eat it right away, you might begin by simply talking about it, having the child help to prepare the food or watching a parent eating and enjoying it. Reducing the pressure on the child to enjoy the food first time around makes it far more likely the child will be willing to try again in the near future. Additionally, you may want to add healthy and new foods into existing recipes. For instance, put broccoli in mac and cheese, have carrot sticks in replacement of chips when eating pizza, and add fruit to their bowl of ice cream. Though many parents are equally concerned about their children having good table manners as they are about their eating habits, research conducted by De Montford University in the UK shows that children who are allowed to play with their food are less likely to suffer from food neophobia – the fear of tasting new things. Young children will often need repeated exposure to a new food before they are comfortable eating it. They might initially only touch or smell the food or put pieces in their mouths only to take them out again. The more children are exposed to foods in any form and the more they can play with them, the more comfortable they will be. 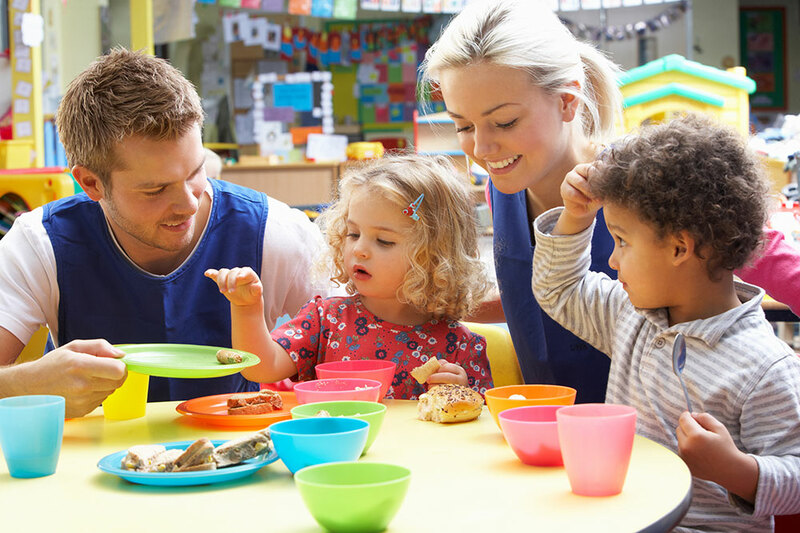 This means that fussy eaters will especially benefit from having access to a cooking play set where they can enjoy the tactile sensation of creating their very own food products and have fun putting together new combinations of colors and textures. A common tactic many parents adopt when a child refuses to eat certain foods is to tell them that they will not get any dessert until they finish whatever is on their plate. However, the problem with this approach is that it sends your child a message that dessert is the best and most important part of any meal and this, in turn, can increase a child’s desire for sweet treats. In addition to avoiding the use of dessert as a reward, it’s a good idea not to include it as part of every meal. Have dessert night one or two times a week or redefine the idea of dessert to include more healthy options such as fruit or frozen yogurt.